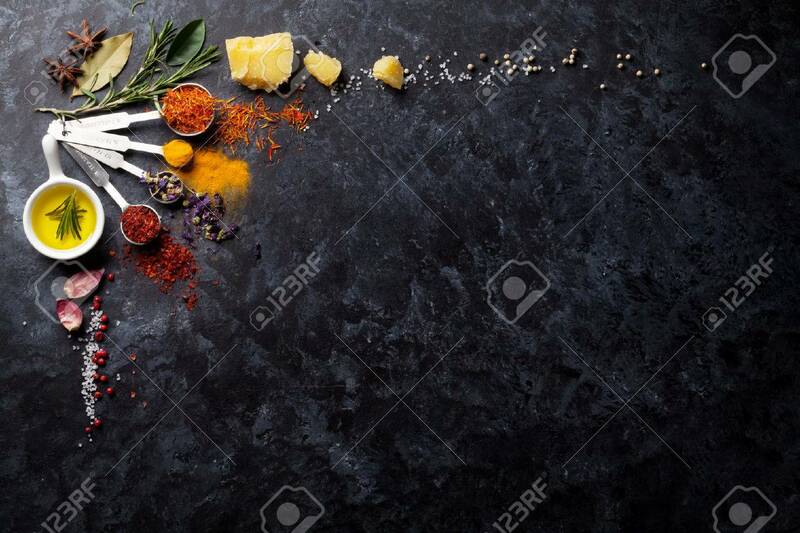 Herbs And Spices Over Black Stone Background. Top View With Copy.. Stock Photo, Picture And Royalty Free Image. Image 58872226.